Inspired by the idea from Kevin Houston and the Gestalt IT VMworld giveaway we am running a program for Australians to donate their VMworld swag to charity. This year, IF you receive a bag or backpack that you just don’t want, please don’t throw it away, but instead take it home, go to the dollar store and fill the backpack with pencils, crayons, paper and erasers and donate it to your local school system. You would be AMAZED to find out the numbers of children who don’t get backpacks and whose familes can not afford the costly school supplies that are required each year. You will be making some family happy and you’ll get the name “VMware” marketed throughout the schools, getting the next generation of techno geeks ready to learn all about virtualization. So that is what we are doing in a more organised way. 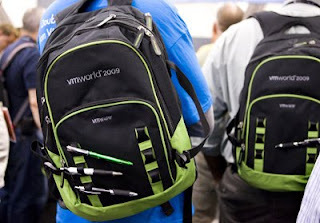 We are looking for 20 people attending from Australia who are willing to donate their unused VMworld 2010 bag to the Salvation Army Community Center in Dubbo. They have a great need, especially at the start of the school year for school equipment such as this. The Salvo's are a much respected and loved charity in Australia who do a lot of community work and provide many services to those people in need. Dubbo is a regional down in NSW which has a high indigenous population. We want 20 people to pre-register that they want to participate. If we get more the Salvos have said there is no such thing as to many. You need to get your bag in great unused condition to Sydney. If that is a problem I am probably arrange to get it here if you can drop it off at an Alphawest office which is most capital cities. You don't have to worry about the stationary, you guys have to pay for it. We will be doing and inventory of materials for each bag and buying in bulk. My wife is a teacher and will assist with the list. The budget will be around $30 to $40 each and you need to be able to put this into a Pay Pal account when needed. It would be good to get some "suitable" additional materials to include. Maybe your company can donate something. Something suitable would be a good size USB thumb drive, a piece of sporting equipment or a drink bottle. Being branded is no issue, especially if its a well know brand (like Optus who I am trying to stitch up). Whats not appropriate, junk; such as old 64Mb memory sticks or old marketing junk you just can't get off your hands. 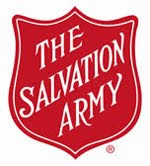 We will arrange to get them to Dubbo either directly or through the Salvos. However if you are interested in a awesome Road-Trip to deliver them in person let us know. If you are not going to VMworld or can't participate please do what you can to spread the word. To express your interest you can go to the form directly or use the embedded version below. With VMworld 2011 approaching, are you likely to continue the program at this year's event?